By now we know that I’m no vegetarian – far from it in fact. I don’t really need to list all the evidence, the trip to Meatopia probably sums it up. 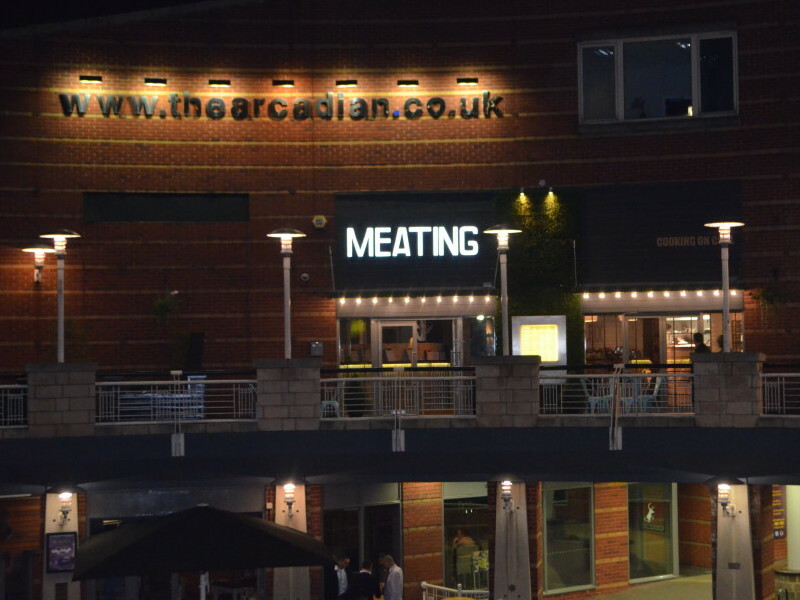 So of course I was going to be up for trying Birmingham’s latest newcomer, Meating. Amid the fanfare of recent restaurant openings across the city, Meating seems to have quietly opened its doors and got on with it. It’s got quite a nice spot on the upper floor of the Arcadian Centre – a part of Birmingham that I always associate with weekend partying as a teenager but which now sees to have developed into a pleasant little hub of restaurants. The name’s pretty self-explanatory and the restaurant is styled to fit in with its meaty menu, done up with a modern, American feel. But this is where the US influence ends – you might be thinking this was going to be yet another place serving all that American barbecue stuff like pulled pork, smoked brisket, ribs etc and you’ve heard it all before, right? Well actually, Meating is slightly different. 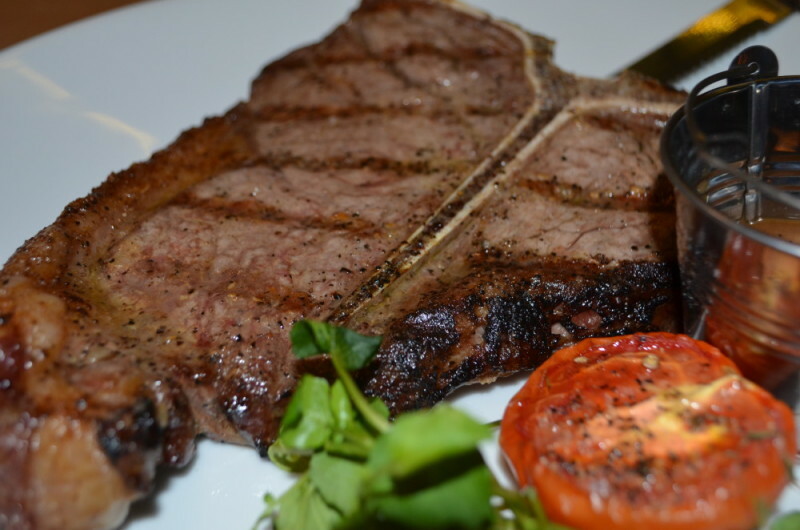 It bills itself as an “independent restaurant service some great rare breed meats”. 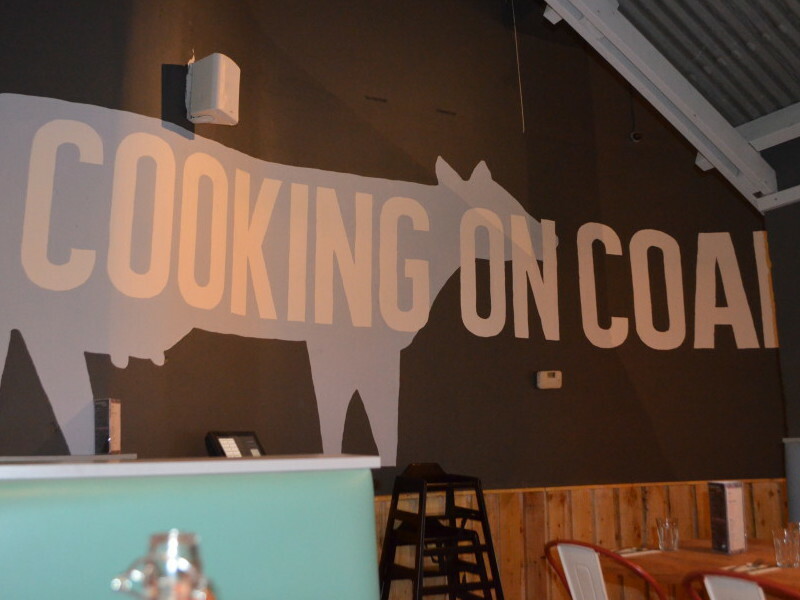 They work with Farmison Meats in Yorkshire, and cook them over hot coal using a charcoal oven. Certainly appealed to me. 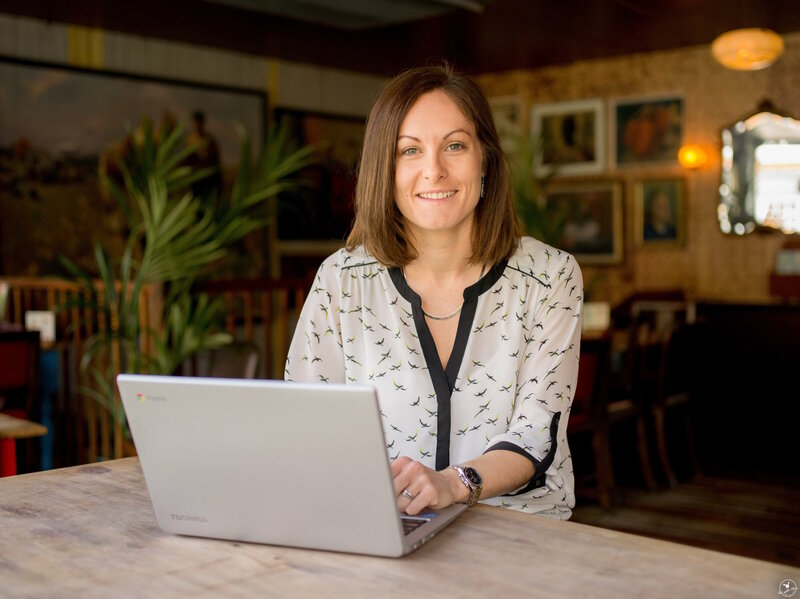 We arrived on a Friday night to a fairly quiet restaurant, not that this bothered me since I was having a long-awaited date night with Mr M. We ordered a few drinks as we studied the menu and decided exactly how much we could fit in and still walk out. Meating may not have opened with the same pomp and ceremony that Nosh & Quaff did a few months ago, but I’m pleased to say they’re offering the same Blind Pig ciders which Mr M enjoyed as I got started on some wine. 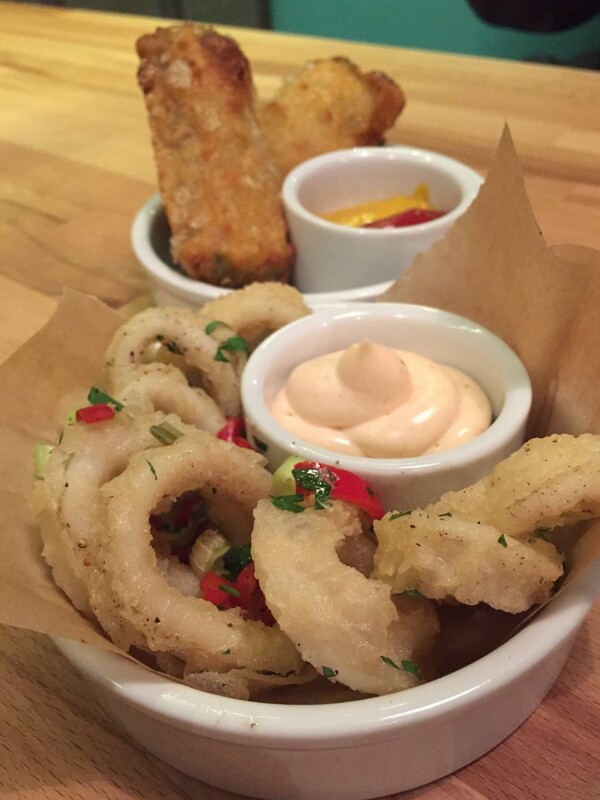 To start, we ordered salt and pepper squid with harissa mayo. We were keen to try the bonemarrow and grilled onions but were disappointed to find they didn’t have them on that night, so instead decided to brave the cheeseburger spring rolls – more out of intrigue than a desire to eat a Willy Wonka combo of Chinese and American staples, I have to admit, but I’m always up for trying anything once. 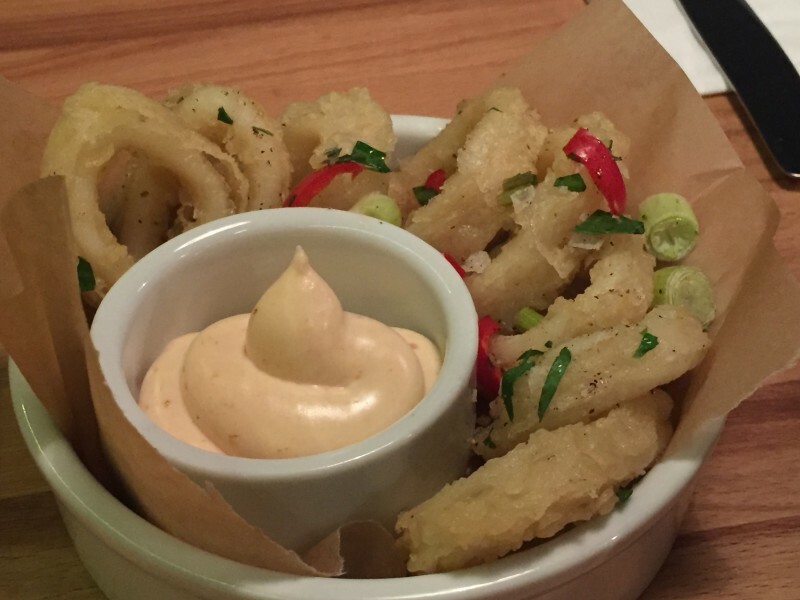 The batter on the squid was light and crispy, and was packed with salt and pepper, which is all too often not the case when you order ‘salt and pepper’ squid. The flesh itself was tender and not chewy. All in all, a pleasant, though not stand out, starter. And so to the cheeseburger spring rolls. Never before have I experienced anything quite like this, and I still can’t decide whether they were utterly amazing or ridiculously terrible in a kind of comedy way. Either way, they are not for the faint-hearted nor the health-conscious. 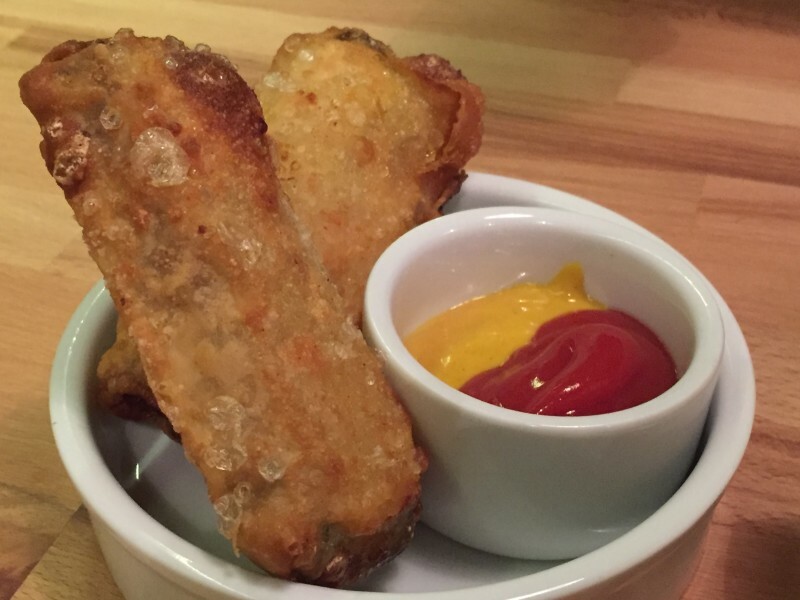 Imagine spring roll-shaped burger meat, wrapped in batter, and filled with lava-hot ketchup and mustard that oozes out once you bite into it. Kinda indulgent and messy and gooey, but at the same time kinda gross. Like I say, I’m still not decided – but please beware of the filling, it’s hotter than the sun! For main course, there was a selection of dishes available cooked on the coal grill, as well as burgers and kebabs. I think given Meating bigs up its ‘rare breed meats’, I was expecting to see some descriptions of various rare breeds. Instead the steaks were all listed under the banner ‘Heritage 35 day dry aged beef’, so I’m guessing that in itself is the rare breed. Mr M went for the largest they do, a 500g T-bone, with a peppercorn sauce on the side. 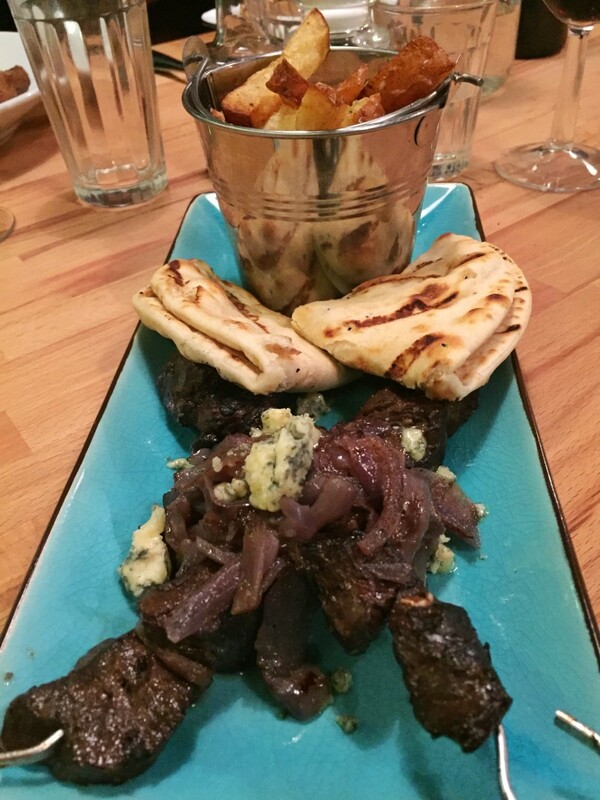 In the interests of trying something a bit different, I went for one of the kebabs – sticky balsamic beef with red onion and blue cheese. Both main courses were listed as coming with ‘salad bar’, while the steaks also had the option of ‘house fries, mash or hash’. For mine, it was house fries and flat breads. Jamie’s steak was good, as steaks go. It was decent quality meat, cooked just right, although he said he wasn’t sure he’d be able to pick it out as a ‘rare breed’ as opposed to ‘non-rare breed’. My kebab was a nice change from the normal meat dishes you get offered. By the time you combined the balsamic beef, onion and blue cheese, it was surprisingly rich, but really enjoyable. The salad bar seemed to elude us, although that might have been our own fault for being too busy tucking in to ask about it or go looking for it, and to be fair I didn’t really miss it, given the amount of meat and carbs on my plate. I upgraded my fries to the truffle oil and parmesan choice (just to add a few more calories to the blowout), and they were nicely done, still with skins on and nice and crispy. 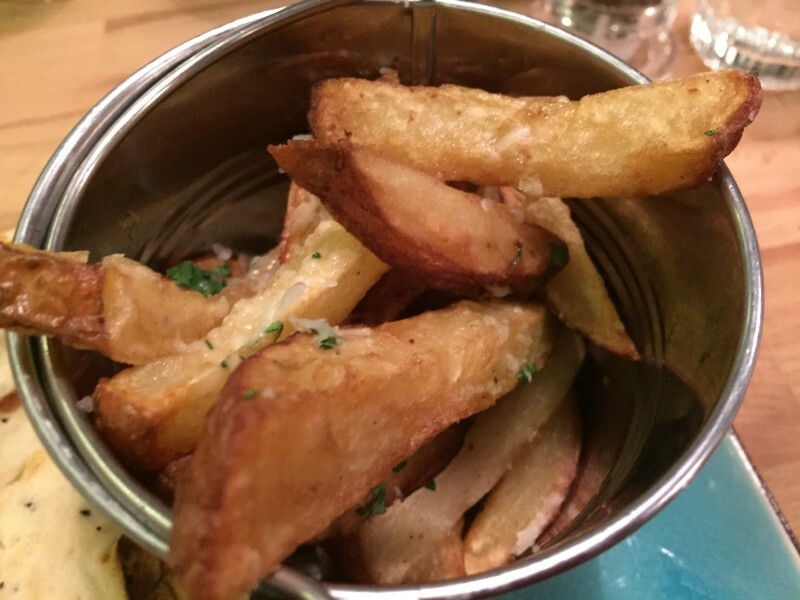 Mr M went for hash, which I quickly stole – I loved the bits of salty bacon and fried onion in with the cubes of potato. We’d definitely had enough by this point, but for some reason couldn’t resist the prospect of Meating’s ‘Sugar Fix’ – a man-vs-food style menu of treats available as either sundaes or waffles. 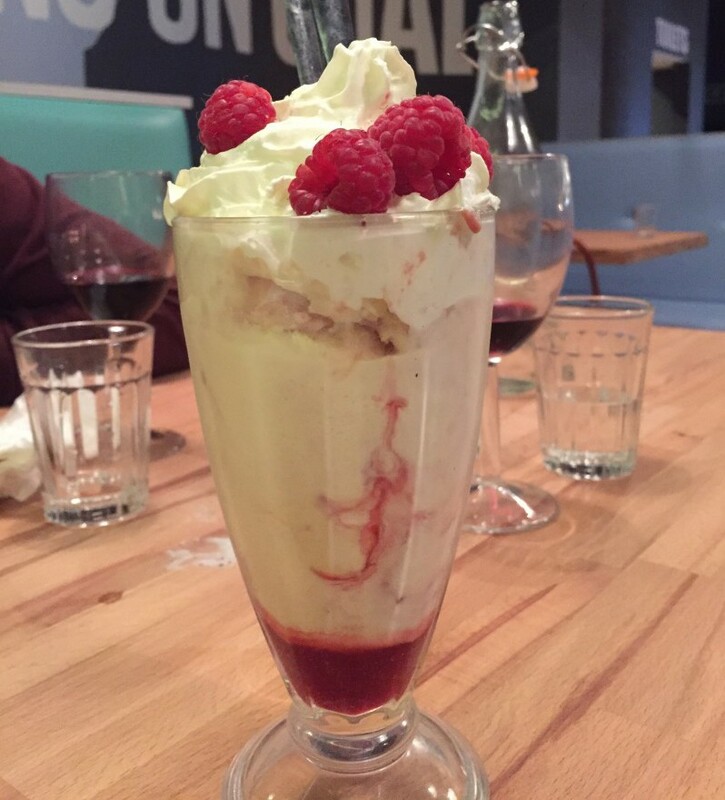 In a nod to our five a day, we opted for some fruit in the form of a ‘Half-Baked’ sundae to share – pannacotta and raspberry gelato, with fresh raspberry, whipped cream and raspberry sauce. This was, as you’d expect, a fairly simple bucketload of sugary goodness that will appeal to and be enjoyed by everyone, from kids to grandparents, but while wonderfully enjoyable, will never be one of those desserts you write home about. What I would write home about was the staff. They were great, which you might say should be expected since I’d been invited to dine at Meating for the purposes of this blog, and they knew that. The particular waiter who looked after us for the evening was a delight. Cheerful, polite and chatty, but discreet enough to know when to leave us to it. I watched him with other people too and he seemed to gauge well the type of people who wanted to joke with him and those who wanted to be left alone. The best part was, when it came to the end of the meal, it turned out he had been completely oblivious to the whole ‘blogger’ thing and just thought I was a bit nuts for taking pictures of everything. So we can’t say that he was giving me special treatment – unless of course it was one big elaborate ruse, which I doubt very much. While it didn’t blow me away, I enjoyed our meal at Meating and I’d be happy to return. It was a fun, relaxing place to wind down on a Friday night. I think these guys are onto a good thing. They’ve got their ambience right and their staff too. They could just maybe make more of what they’re offering – it’s a good, appealing idea that’s slightly different from the rest, so let’s see it in all its glory. Our meal at Meating was complimentary.